You'll receive 3 Defender Packs for a total of 612 servings meals plus highly-bioactive superfood supplementation. There's simply nothing else like it on the market. 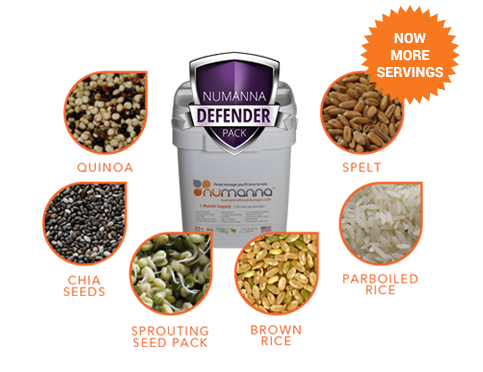 Each individual Defender Nutritive Pack includes 80 servings of each superfood. All super foods except parboiled rice are certified organic.